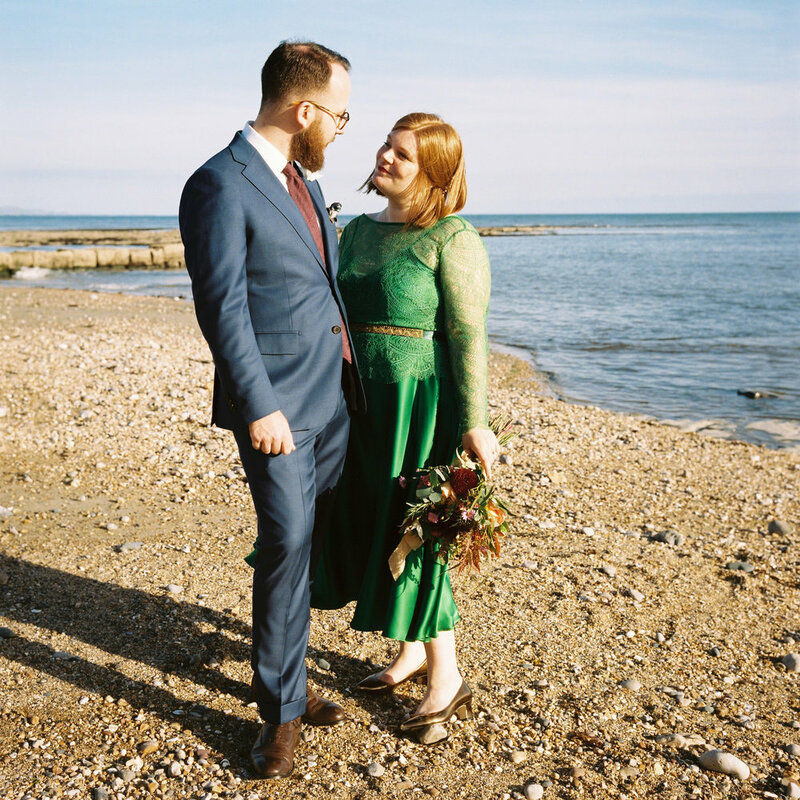 Lucy had already decided she’d love to wear a green dress before she came along to see me, and we worked together to adapt one of my designs into the perfect dress for her. 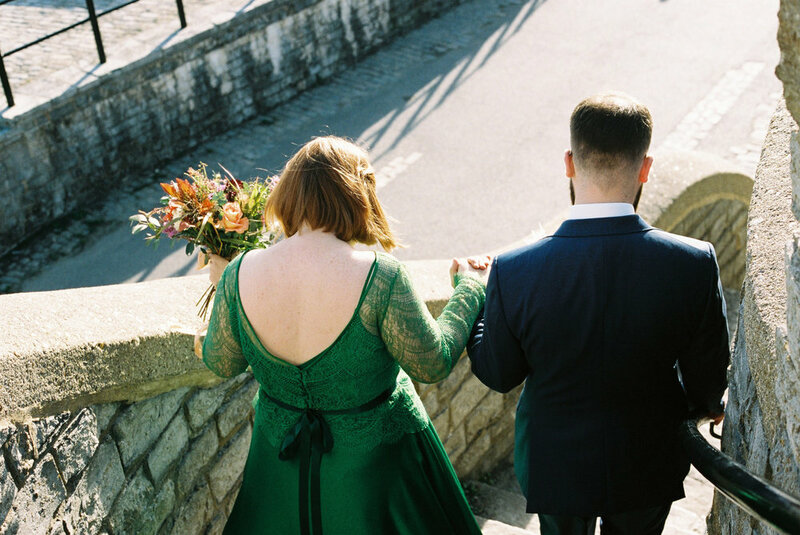 I found the perfect shade of emerald green crepe-backed silk-satin for Lucy, and had one of my favourite lace designs (as used in Larkspur and Astrantia) dyed to match the silk. 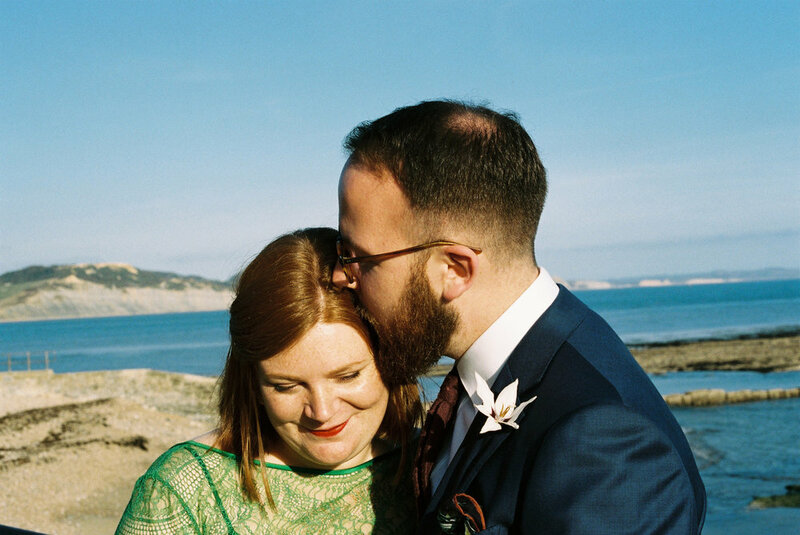 Lucy opted for a bespoke version of my Bluebell slip dress, which we raised up at the back so she could wear a strapless bra, and cropped to just above the ankle, which showed off her beautiful bronze shoes. 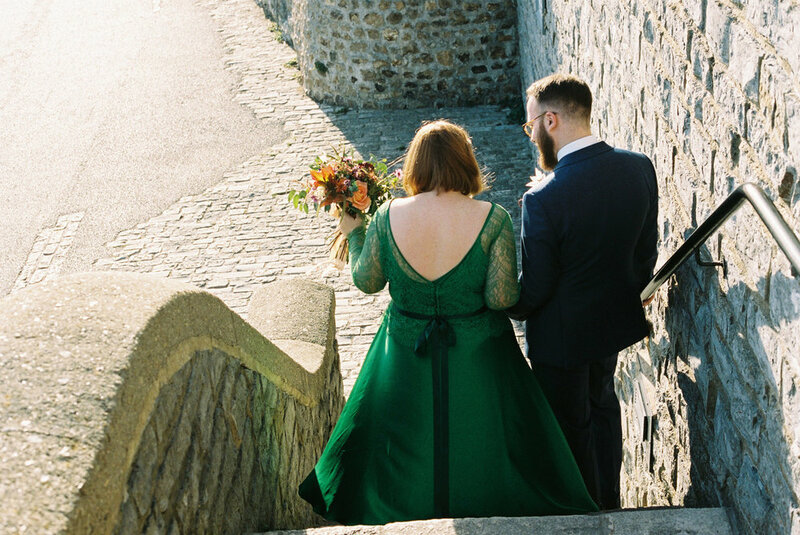 On top we adapted the Larkspur lace top a little, raising the back V neckline, adding long sleeves and putting in a little extra flare from the waist. 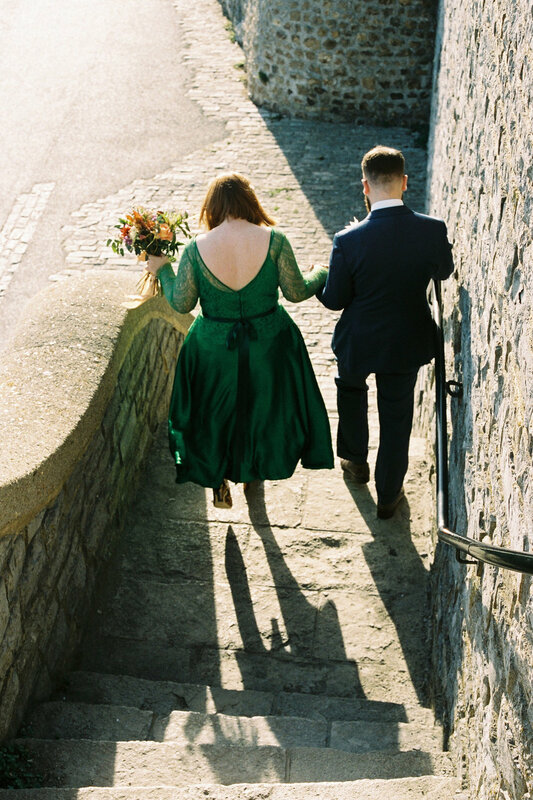 I also added a row of green silk covered buttons and loops at the back. 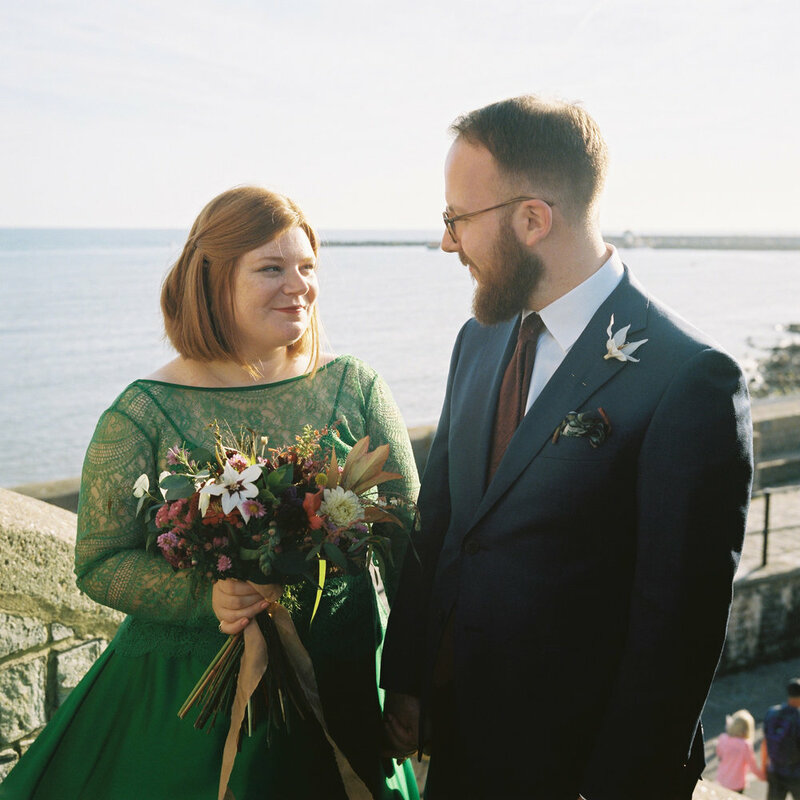 Lucy chose my metallic lace belt to finish her look, and I found a dark green ribbon which worked perfectly with the dirty gold lace trim and the brighter green of her dress. 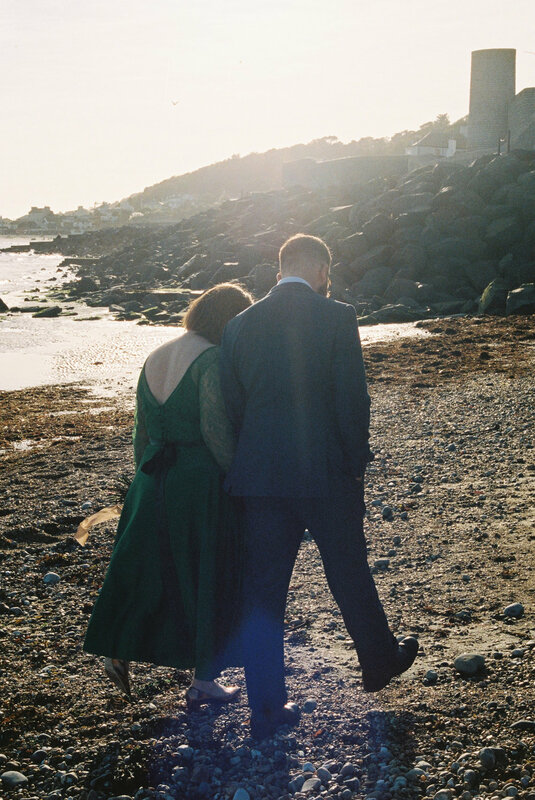 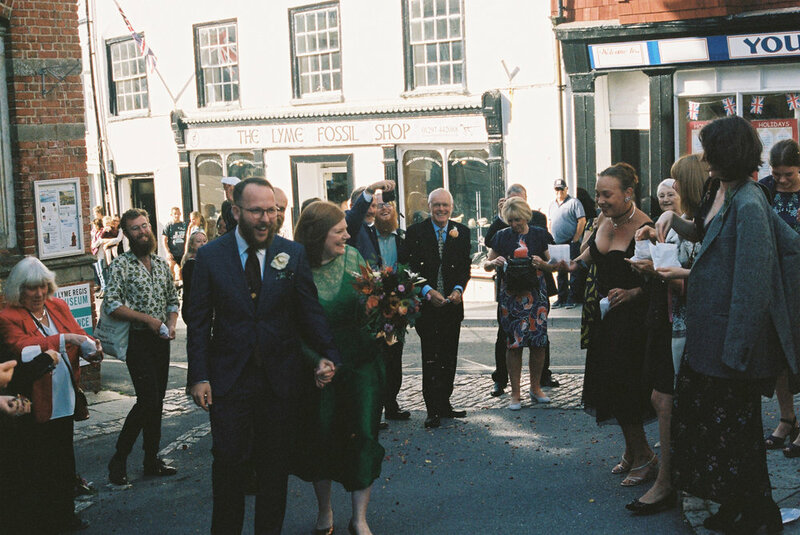 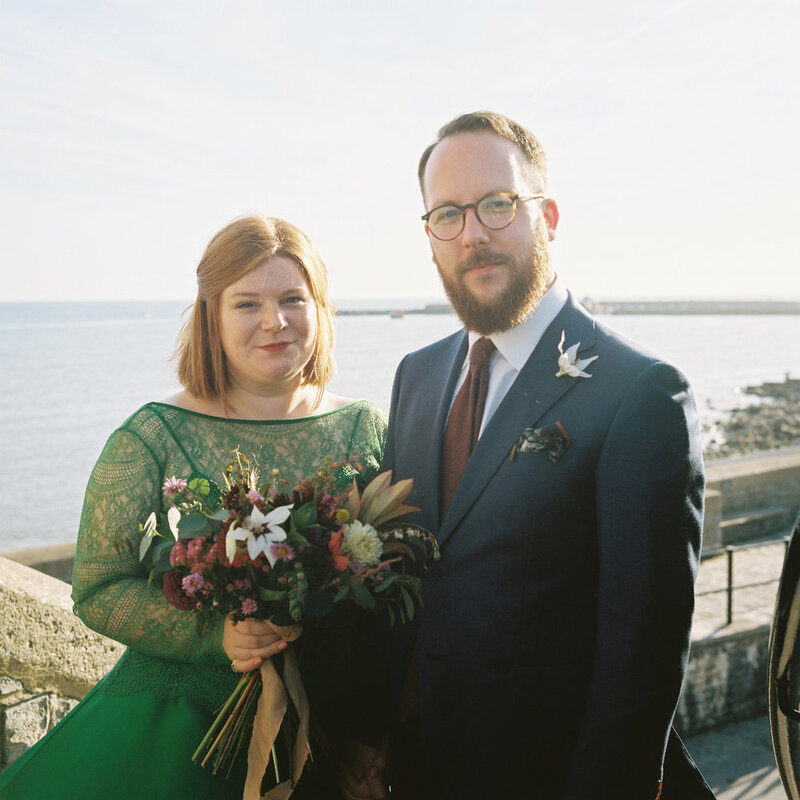 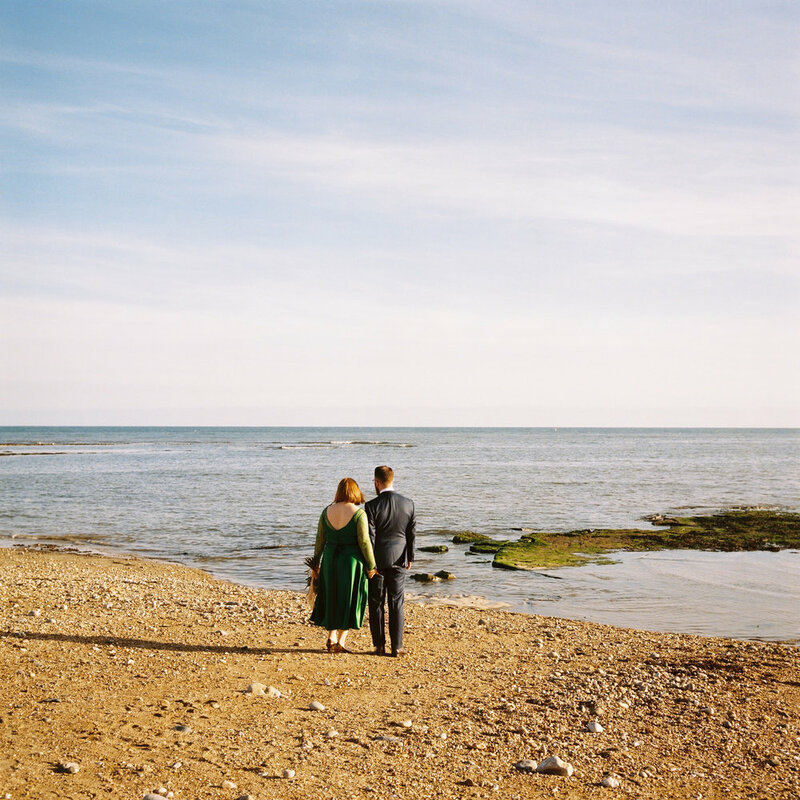 Lucy and Henry were married at the Guildhall at Lyme Regis in Dorset, then headed to the Marine Theatre for their celebrations, which they’d filled with flowers and decorated beautifully with the help of friends and family.